Hanoi (VNA) –Deputy Prime Minister Vuong Dinh Hue has asked ministries, agencies and localities to build strong institutions to help Van Don Special Economic Zone retain investors, businesses and visitors. He made the request during his recent visit to the northern coastal province of Quang Ninh’s Van Don island district to inspect constructions. Van Don has attracted nearly 2 billion USD of domestic and foreign investors to build infrastructure in the past few years. Van Don Airport’s construction of a 3,600-metre runway has been almost finished after two years of construction. According to Sun Group, the project investor, the international airport is expected to be operational in the first quarter next year. Apart from airports and logistics port, Sun Group also invests in resorts and entertainment areas. Visiting Van Don, the Deputy Prime Minister emphasised the island’s unique position and its role in the development of the northern region. This area is located in the area of Vietnam - China economic cooperation, as part of the Gulf of Tonkin inter-regional cooperation and can also be a bridge between ASEAN and China. Van Don also has potential to build deep-water ports, which are located in Hai Phong-Quang Ninh-Fangcheng (China) international port complex. 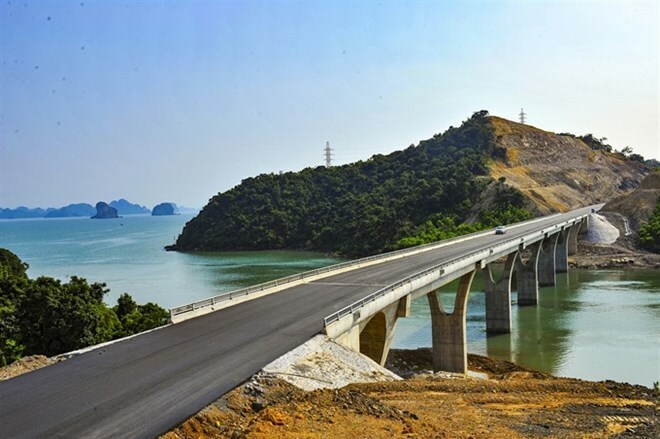 Despite being an isolated island, Van Don is connected with the Red River Delta (National Highways 10 and 18) and the northwest through Lang Son and southern China. Hue also asked ministries, Quang Ninh province and investors to coordinate in researching and making full use of the economic values of Van Don. He also asked them to study the experience of building special economic zones in other countries in the fields of management, financial service provision, economics, tourism and cultural services with high quality and diversity to attract businesses and tourists. The Deputy PM also asked investors to ensure the progress of approved works and projects to quickly bring into play the value of Van Don when the Law on Special Administrative-Economic Zones is passed by the National Assembly later this year. The Ministry of Planning and Investment is consulting ministries and sectors on the list of conditional businesses in special administrative-economic zones. The list includes 69 conditional businesses in special administrative-economic zones. Domestic and foreign investors and people are not free to do business in these zones but must meet certain conditions. There are some typical industries such as duty-free shops, petrol and oil, gold, money printing, foreign exchange and electricity. Conditional businesses include rice exports, multi-level sales, airports, urban railways, pipeline transport, fisheries, telecom services and pay TV. Other conditional businesses are discotheques, karaoke; national relics purchase; minerals mining and exploring; water resource exploitation and use services; seal manufacturing, domain name registration and those related to national security. The Ministry of Planning and Investment has submitted to the Government a draft law on special administrative-economic units. In this draft, the ministry proposed a series of mechanisms to attract investment and foreign experts to live and work in the Phu Quoc economic zone.